Have you ever fancied being The Secret Barrister? 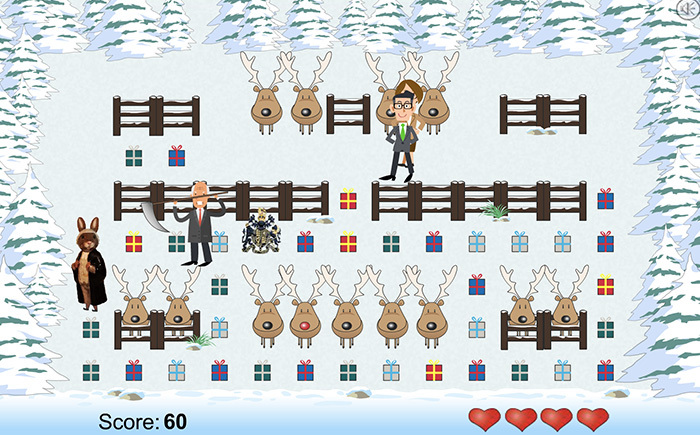 Well, now you can, thanks to a new Christmas-themed online game courtesy of Sarah Robson, a personal injury specialist at Warwickshire’s Alpha Court Chambers. The video game, Secret Barrister’s Present Panic, sees users help the anonymous blogging heavyweight recover Secret Santa presents — all whilst avoiding scythe-wielding MPs and journalists. The Secret Barrister is forced to embark on his Christmas mission after he (or she) inadvertently kicked over all the presents during an impromptu Taekwondo lesson courtesy of Robson, who hit Legal Cheek headlines in 2013 when she produced an interesting martial arts video of herself breaking pieces of wood. This, however, isn’t the first time the self-proclaimed “black belt barrister” has produced a Christmas offering. This time last year, Robson released Sarah’s Snowball Fight, a game which involves helping a family court clerk get safely to her Christmas party by throwing snowballs at judges. 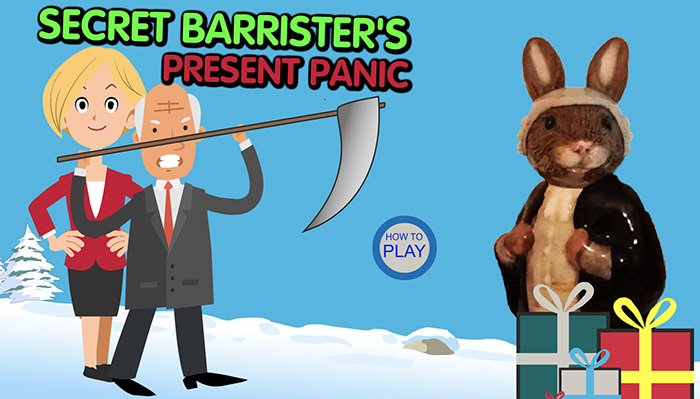 Click through to the Secret Barrister’s Present Panic. Is the grand prize a pupillage? Can Adam write an article an article again? Cos photos of him smiling are literally the only reason anyone visits LC anymore ! Adam is ridic hot, can we please have a LC meet up?